This article is 1926 days old. 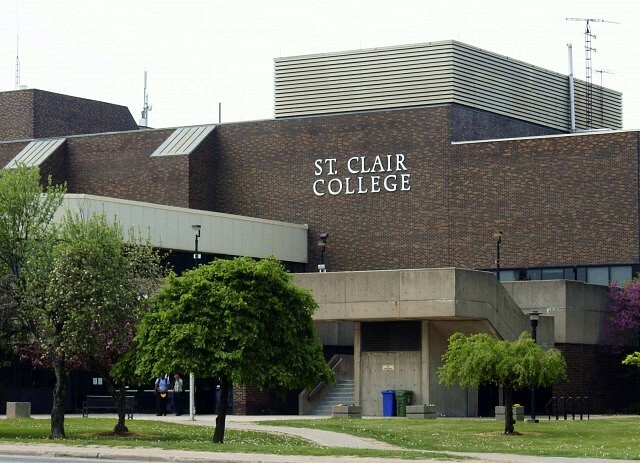 With the completion of the St. Clair College SportsPlex slated for April, a new three year advanced business diploma in Sport and Recreation Management will start at St. Clair College in September 2014. When students graduate they will have the knowledge and skills to enter the public, private or commercial sports and recreation market. The college says that it is the only three year advanced business diploma of its kind in Ontario. Students in the three year program will develop comprehensive business skills as it relates to the Canadian sports and recreation market. They will learn about regulations governing sports and recreation, coaching standards, tournament hosting, facilities management, marketing, public relations and more. They will also have two, third year field placements that will give them on-the-ground experience with a sport team or at a recreation facility. Mark Masanovich, General Manager, Roseland Golf and Curling Club, is a member of the Program Advisory Committee for this new program and says that the industries of sport tourism, community sports and recreation programs, sport and event management and sport facility operations are just a few of the potential areas these students will be able to participate in. “I am looking forward to helping them in their chosen vocations. I believe there is tremendous potential for students graduating in this discipline. They will find themselves assisting in any number of sporting and recreation activities not only in this community but nationally”. Applications for this program can be made through www.ontariocolleges.ca with course offerings and information about the program on the College web site at www.stclaircollege.ca/programs.